A PBS Frontline documentary argues that supplements are useless—relying on “expert testimony” from paid Pharma representatives. Last week, PBS’s Frontline aired an hour-long program titled “Supplements and Safety.” Jointly produced by Frontline, the New York Times, and the Canadian Broadcasting Commission, the program was clearly intended to leave viewers with the one-sided impression that dietary supplements are unregulated, unsafe—and that ultimately you, the consumer, should not have the right to stay healthy in a manner of your choosing. There is too much to comment on in this corrupt documentary. But we’ll address a few key points. Medical Establishment Says Supplements are Useless! The overarching narrative of one especially egregious segment was that supplementation of any sort is unnecessary and does not impart any benefits—and worse, that it may even be dangerous. For example, the documentary has longtime natural health foe and vaccine millionaire Dr. Paul Offit explaining that one 1000 milligram tablet of vitamin C is equivalent to eating “seven or eight entire cantaloupes,” and that this is bad because the body was not meant to eat so much. Never mind that this says nothing about how many milligrams might be required for certain individuals to achieve optimal nutrition, nor that a growing body of scientific evidence suggests that food alone does not provide enough nutrients to the human body! Considering also that 93% of Americans are nutrient deficient, how does Dr. Offit propose we correct nutrient imbalances? With respect to C, he also skips over the abundant scientific evidence that early humans, when everyone lived in a tropical environment, consumed much more C than we do today (which means our bodies evolved to handle C in abundance). We need to consume our vitamin C, unlike most animals whose bodies simply make it as needed, often in very large quantities. As for vitamin D, other “experts” were lined up to argue that any dose higher than the antiquated, absurdly low 600 IU recommendation from the ponderously conservative Institute of Medicine (IOM) is not only “not beneficial,” it may even be harmful—a claim that is patently bogus. An old editorial titled “Enough is Enough: Stop Wasting Money on Vitamin and Mineral Supplements”—which was based on three studies which even conventional practitioners have dismissed as flawed and inconclusive—was resurrected to further bolster the documentary’s case (see our detailed rebuttal to this editorial here). Fish oil was specifically targeted, with claims that almost no clinical studies have shown a benefit to consuming fish oil supplements—an astoundingly false claim, considering the vast preponderance of scientific evidence to the contrary. Fish oil has been found to be so beneficial, in fact, that Big Pharma has patented expensive fish oil-derived drugs (more on this below). The pretext for all of this, of course, is to undermine the credibility of supplements and to make the case that more regulation and oversight is required—ostensibly, a pre-approval system similar to the one suggested by supplement foes Sens. Durbin (D-IL) and Blumenthal (D-CT). What is not mentioned in the Frontline piece is how profoundly such a system would infringe upon the rights of millions of Americans who rely on dietary supplements to maintain and optimize their health. It would drive the cost of supplements through the roof, which would then sweep them off the shelves and into the hands of drug companies. The Frontline piece propagates the false notion that supplement users are only using supplements to treat or prevent diseases. This is an incomplete and misleading picture. Many consumers of supplements are just trying to bolster their overall health in combination with diet, exercise, and lifestyle choices. The integrative community knows there’s no “magic pill” for health, and therefore strives for holistic solutions. However, the medical establishment seems to believe that Americans should not have the freedom to stay healthy the way they choose. Instead, Americans should stay healthy in a manner the medical establishment chooses—that is, in a way that lines the coffers of pharmaceutical companies and the doctors on their payroll. Other segments perpetuated the same lies we’ve heard many times before from the likes of Sens. Durbin and Blumenthal, New York Attorney General Eric Schneiderman, and others. The documentary writers highlight a few supplements containing adulterated (illegal) ingredients that led to adverse reactions, holding these illegal products up as examples of why the industry needs more regulation. As we’ve argued time and time again, the FDA has the authority to remove dangerous and illegal products from the market—and actually did so in each instance cited in the documentary, proving once again that the current system works when the FDA enforces the law. The documentary also fails to highlight the overwhelming safety record of supplements for the millions of Americans who take them every day. 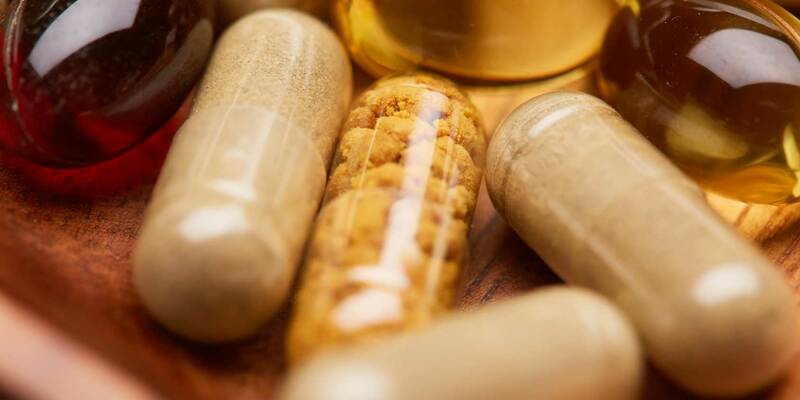 All of this comes into focus, however, in a segment in which fish oil supplements were attacked as being inferior to their pharmaceutical counterparts. To substantiate these claims, the documentary’s primary expert, Preston Mason, PhD, cuts open fish oil supplements and points out how different they are from a pharmaceutical fish oil drug. As it turns out, Dr. Mason is very familiar with that particular drug. It’s called Vascepa, and for the past several years he has worked as an advocate for the drug. He even lobbied the FDA on behalf of Amarin Pharma, the drug’s manufacturer, to broaden the uses it was originally approved for. Apparently the producers of the Frontline piece did not think viewers needed to be informed of this conflict of interest. It gets worse. Immediately following the broadcast, Amarin was ready with a website that highlights the documentary, as well as a media campaign (sponsored by Amarin) that features Dr. Mason and a fellow Vascepa advocate, Eliot Brinton, MD. According to OpenPayments.cms.gov, Dr. Brinton earned $366,698.68 from pharmaceutical companies. Dr. Mason is not a medical doctor, so he is not required, under the Sunshine Act, to make his compensation public. Was the Frontline documentary a coordinated effort to boost sales of Amarin’s Vascepa by attacking the more popular and affordable competition? The facts speak for themselves. We also suspect that this documentary could be the opening salvo in renewed attempts by Sens. Durbin and Blumenthal to implement a pre-approval system for supplements, which we are expecting to come out some time this year. As always, we will closely monitor the happenings in and out of Capitol Hill, and keep you informed of developments.